We have been lucky enough to get the opportunity to explore kiddZtube on KiddyCharts. And why are we lucky? Well, let’s face it. We’ve all done it as parents, we have left kids to watch videos online, and why…. …because we finally had to go and have a pee, or make that blessed cup of coffee in the morning that we so desperately need because we were woken at 5am in the morning, and we don’t feel human without it. But, how can we allow kids to watch videos online in such a way so there isn’t any chance they can start exploring things that we don’t necessarily want them too? So what exactly is kiddZtube? 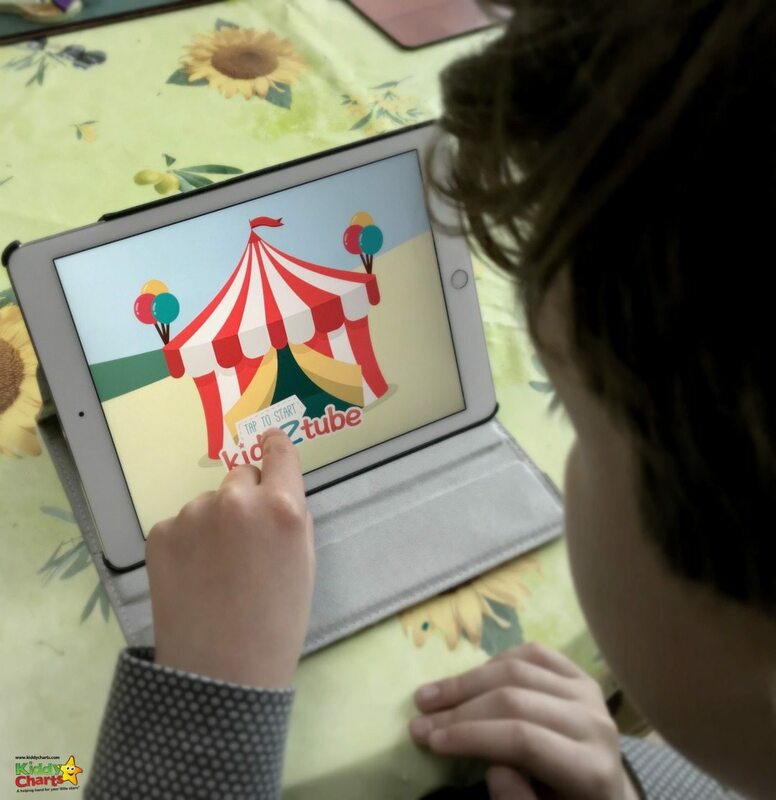 kiddZtube is a new app that can help; available on iOS, Amazon and Google Play. It enables children to watch videos online suitable for their age in a safe environment, and without distractions. kiddZtube isn’t just about being able to sneak off for a coffee though; it has a parental interface where you can set how long your child is able to watch for, and monitor their progess with the questions. You don’t get THAT when you pop your child in front of the DvD player now, do you? The app allows you to set bedtime mode too, so that children aren’t asked questions after videos, and the app effectively “winds down” before bed. There is a free version of the app; kiddZtube Lite, and the full version is £4.99. kiddZtube is the first app from Magikbee; the company also expects to release kiddZtube Academy soon. This is an app designed for teachers and goes one step further. This app will enable teachers to create their own video-quizzes for their classes. This is a great idea; there really is nothing wrong with a little bit of screen time for your children, IF it is managed well, and you know that they are in a safe environment. The ability to watch videos online is taken for granted now by us, and our kids, so why not enable it to be safer for them, and us? Simple interface; there are no distractions for kids to go exploring, and you want to keep that to a minimum. It IS a simple space for watching videos, but if you just want to entertain your kids for a little bit to find that me time, then that is all you need. Good content choice; you can never be quite sure what your kids are going to stumble across when they watch videos online, so the content here has specifically been chosen for its educational value. We were so, so pleased to be able to catch up with Elmo on there 😉. Monitoring; the parental section is well hidden behind a small gear icon on the home screen, and behind a maths question that 5 year olds shouldn’t be able to get unless they are a boy/girl genius! It is lovely to be able to see how your little ones are getting on with the quizzes, and you can actually track their progress rather well. The interface is easy to understand, and shows you what they are watching too. You never know, maybe you’ll help to nurture a little Einstein with those quick questions! Time limits; it is tempting to leave your child in front of a screen for a long time sometimes. Particularly on a Sunday morning when you really, really don’t want to be getting up at 5am…. The time limit both stops your child from being at a screen too long, and forces you to manage their screen time as well; time to get outside perhaps? Favouriting; everyone knows that kids LOVE to watch their favourite shows again and again. So if there is a particular show that your kids just can’t get enough of on kiddZtube, then just click the heart top left, and it is saved within the favourites section for them to watch whenever they like. We were rather chuffed to be able to favourite one of the best books…EVER while we were testing the app. 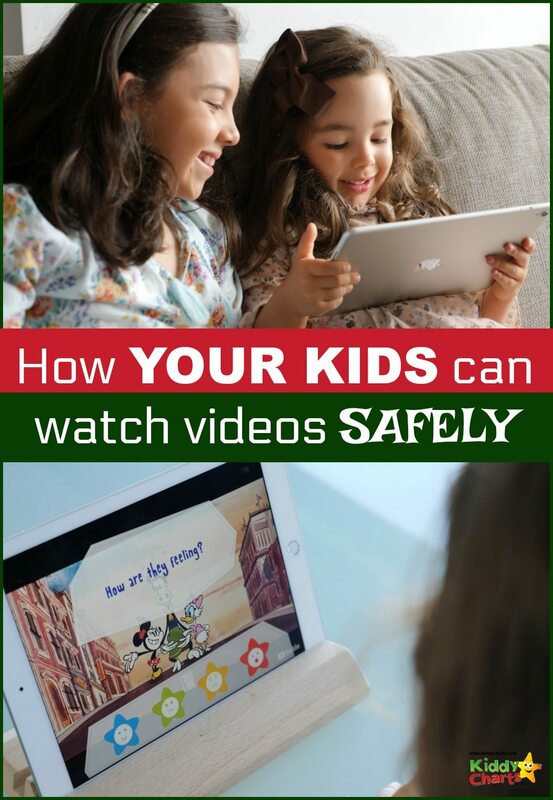 This is a great idea for an app – the simple interface and the educational content mean that it is perfect for your children to use to watch videos in a safe, learning environment. There are 1,000 videos on the app currently, including some of our favourites; from the Gruffalo to Sesame Street, all the traditional fairy tales, and classic cartoon characters. They are, of course, looking to expand the video offering, and it will need to grow, along with the categories available, to make the app robust enough for the future. The £4.99 price tag is a little more than you might have expected, but this is a one off charge for the user, and will likely prove to be better value as the app continues to grow its video library. Overall, this is an good way to offer parents piece of mind when they hand their tablet or phone to their children. There is, of course, nothing stopping their kids from swapping into another app, but we found that the ease of use of the system, and the videos available meant that this shouldn’t happen. When the kids have finished their watch time, it is actually a great tool to encourage them to do something else. It is, after all, about making sure you balance your me time, with that special time to play with the kids. Allowing your kids time to watch videos online safely means that you can grab that time to make yourself a little more “you” and we all know how important that is as a parent. Have you tried this app, what did you think of it – do let me know. This is a sponsored post. 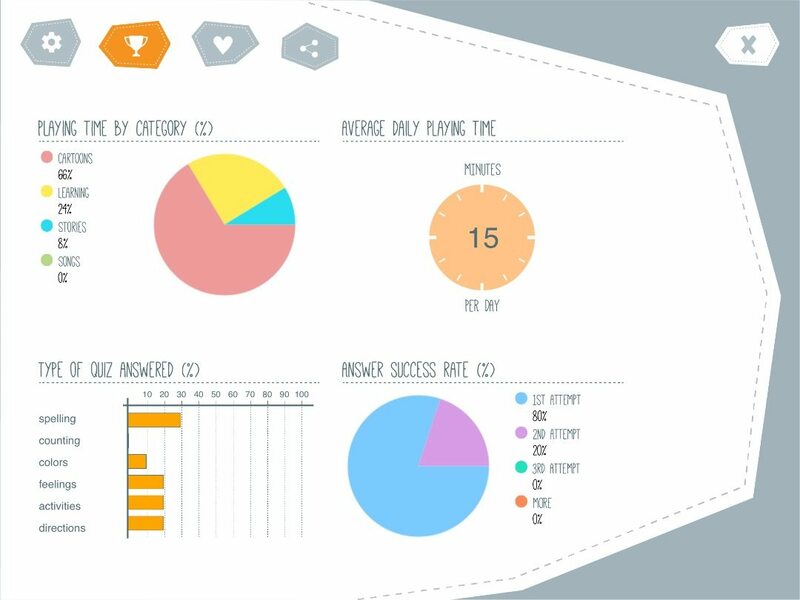 We were paid to look at and review this app, but all opinions are our own.